You can take action to reverse current trends by integrating the power of nature into your daily life, your community, your school, or your work. Growth of the #NatureForAll movement requires leadership from all sectors, disciplines and levels of decision making. 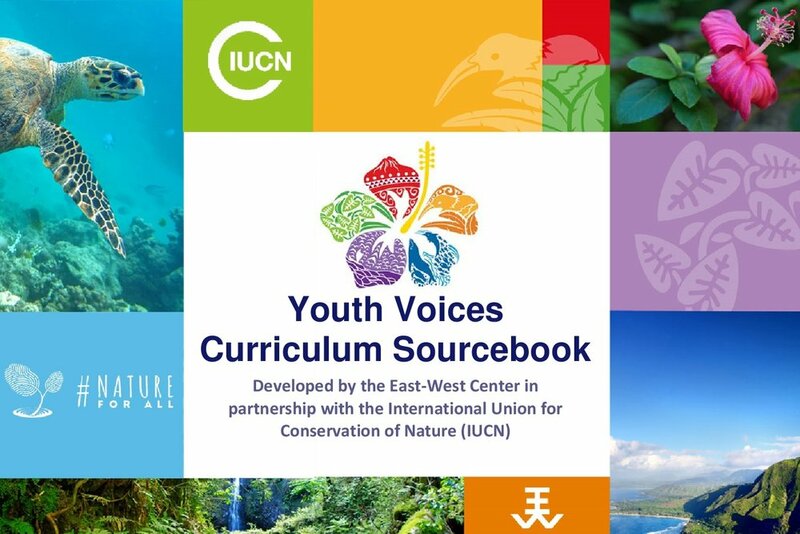 Resources for #NatureForAll partners - Available here. Become a partner here. Teach about the living world through lesson plans, species cards, and memorization. 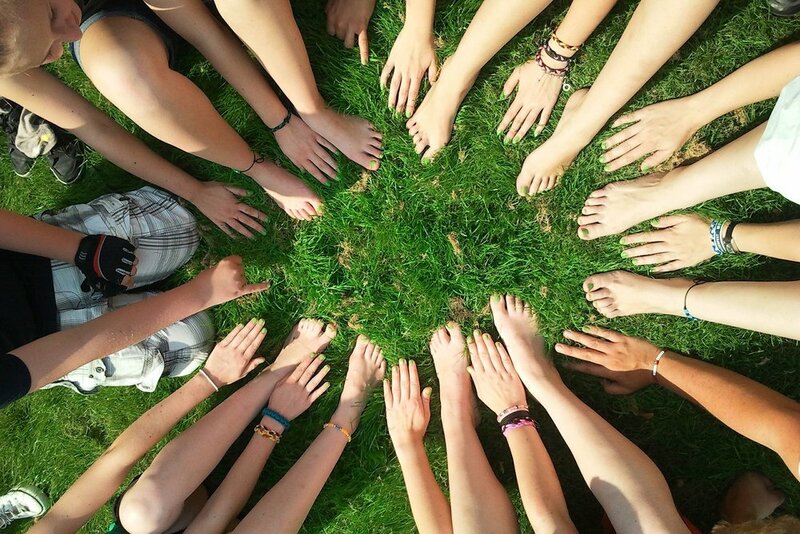 Communicate the importance of connecting with nature when talking about climate change to a variety of different audiences with Ontario Biodiversity Council's guide to effective messaging. We want to engage Canadians of all ages and backgrounds in caring for our country’s species and natural habitats through hands-on volunteering. BELLA GAIA communicates- without words- the BEAUTY of the planet both natural and cultural (BELLA) - and the INTERCONNECTEDNESS of all things (including all people) on Earth (GAIA) to illuminate the relationship between civilization and nature and our effects on the biosphere. The WildRoots Batwatch story is about connecting the youth to Bats, less-known yet important flying mammals, through engaging activities that generate awareness and strong learning outcomes. Providing childhood experiences in nature is good for children and our organisation. We believe that parents want their children to get out into nature more often to balance the screen time that is omnipresent in their lives. We are responding to this demand and in doing so, our children and parents are happy. Ocean Bridge connects Canadian youth from coast-to-coast-to-coast empowering them to make a difference towards ocean conservation. Each year 40, youth (ages 18-30) form a national team engaged in co-creating and delivering service projects in their home communities. They also partake in two immersive expeditions addressing Ocean Health and Ocean Literacy in Canada. Meeting artist Emma Barr was completely serendipitous and we were utterly amazed by her ability to pinpoint emotions, to speak of touching and inspiring topics and to eloquently express herself. In addition to being an extremely renowned mixed-media artist and painter in Whitehorse, she mentors youth through difficult periods in their lives and inspires them to trust in their artistic abilities. It all started when I visited my grandmother in 2016 in Mbooni, Makueni County, Kenya. Chelsey has a beautiful perspective on nature. Where one sees pine needles, cones, and branches, Chelsey sees art. She leaves her artistic signature all over Westwood Hills Nature Center, St Louis Park, Minnesota, for all to enjoy. Here is a day in her life. Everyone should have a chance to realize that they love the outdoors. Unfortunately, not every community has the same access to the outdoors, and as a result these communities miss out on the opportunity to develop a love for nature. Here are four Community Nature Connection youth who are tackling this issue. Putting Citizen Science in Action To Capture Canada’s “Nature Selfie." Imagine taking a photo of an unknown organism, posting it online and immediately having it identified by expert naturalists from around the world. iNaturalist is an online service that allows you to do just that. Chasing the fantasy-tale of a Moana-like mermaid legend in the heart of Palau. The interactive educational tool developed by NSW National Parks and Wildlife Service combines nature and technology to help teachers deliver exciting lessons in and out of the classroom. Share The International Day For Disaster Reduction In The Sundarbans, Bangladesh. Bangladesh Environment and Development Society (BEDS), aCommunity Based organization from Bangladesh celebrates the International Day for Disaster Reduction. Amis de l’Afrique Francophone- Bénin (AMAF-BENIN) celebrates World Otter Day on Wednesday 31 May 2017 in Sô-Ava on Lake Nokoué. Right now, on the sun-kissed Mediterranean coast of Italy, the Prince Enric's team is making the final touches to its scientific ship called the Yersin. Then, next month, when the boat leaves Monaco’s harbour, it will mark the moment of a new era of ocean discovery and conservation - even if the world doesn’t know it yet. He may live behind the walls of a magnificent palace, and in a country surrounded by the constructions of luxurious marinas, super yachts, fine villas; however, the Prince, himself, sees that none of this matters, if we do not look after the most precious thing of all - our planet. The Salzburg Global program The Child in the City: Health, Parks and Play is part of the multi-year Parks for the Planet Forum, a series held in partnership with the IUCN and Huffington Foundation. Yesterday, we were present for Celebrity TV star and environmental activist, Adrian Grenier’s inaugural speech inside the halls of the United Nations as the new Environment Goodwill Ambassador. #NatureForAll's newest partner, the storytelling project “Lost and Found”, works to bring to life the inspirational stories of those species that were thought extinct for at least a human generation but where subsequently rediscovered. Their goal is to change the conversations around conservation, away from doom and gloom, and towards more a positive message. This immersive event combines NASA satellite imagery, time-lapse nature photography, cultural heritage footage, and live performances of music and dance to form an unprecedented and powerful exploration of the beauty and interconnectedness of all things on Earth. In its 20th year, the Peace Pals International Art Exhibition and Awards features art created by children around the world to celebrate peace. This year, the have chosen to partner with #NatureForAll to commemorate nature. AquaVan 150: Connecting Communities to Coastlines will facilitate personal connections between youth and marine life, emphasising that all of our waterways are connected. #NatureForAll partner One Minute for Earth created a campaign inviting everyone to add Nature to their list of New Year’s Resolutions. In honour of World Wetlands Day, individuals and organisations joined #NatureForAll partner and Mediterranean wetland specialists, MedWet in their #WetlandsForAll campaign - through which they shared their feelings, passion and emotions when visiting wetlands. More than 200 key stakeholders participated in the Inspiring a New Generation (ING): A North American Summit, held November 6-8, 2015, at the National Conservation Training Center in Shepherdstown, West Virginia. ORGANIZATION EARTH founder Constantinos Machairas celebrates winning the #NatureForAll Greenhouse after presenting his work to a judging panel including members from The Canadian Parks Council, Google Earth Outreach, Habitat the Game, Conservamos Por Naturaleza, Citizen Wolf, and Pew Charitable Trusts. In honour of the theatrical release of Fantastic Beasts and Where to Find Them and Alison Sudol’s role as Queenie, hundreds of individuals and organizations joined #NatureForAll in celebrating incredible creatures everywhere! The #NatureForAll launch at the IUCN’s World Conservation Congress brought together like-minded conservationists from around the world. 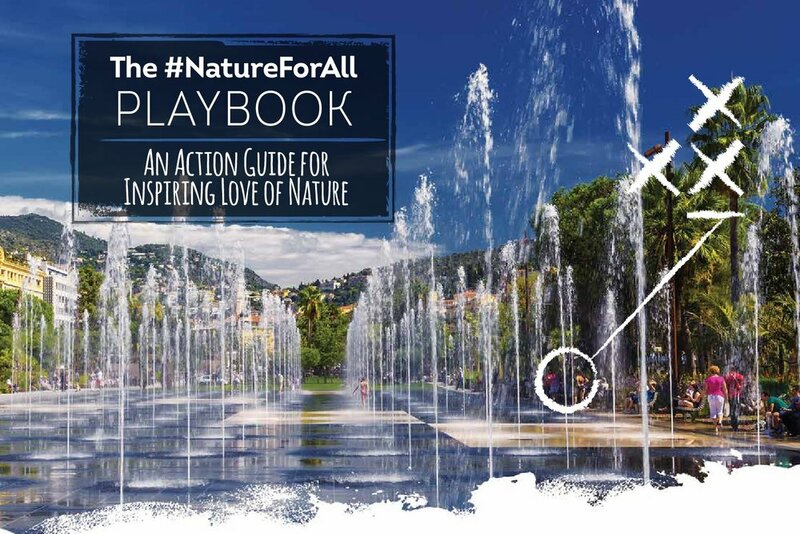 The Nature Playbook Has Launched! On October 24, 2016 the The Nature Playbook was officially launched in Canada. It is an initiative of the Canadian Parks Council (CPC), and is intended to inspire Canadians to spend time in the out of doors, reconnecting with Nature. Canada's Accredited Zoos and Aquariums Proud to Partner with #NatureForAll. Available in English and French.